In 1 Corinthians 15, Paul asserts that the message that Jesus died for our sins, was buried, and raised on the third day is “of first importance” (v. 3). It is the core of the gospel story and of the Christian faith. Therefore Easter, and Holy Week before it, point to central truths Christians would do well to remember and retell. Rather than looking directly at Gospel accounts of Jesus’ death and resurrection, this month’s unit will wrestle with key texts from Paul’s first letter to the Corinthians. In the Apostle’s words, we will read some of the church’s earliest theological reflection on the meaning of these events. First, we will explore how the church “proclaim[s] the Lord’s death” (11:26) in the bread and the wine of the Lord’s Supper. Then we will spend three weeks on 1 Corinthians 15, Paul’s lengthy defense and interpretation of resurrection faith. No one can claim to understand fully the meaning of Jesus’ saving death and resurrection. Paul certainly made no such claim. 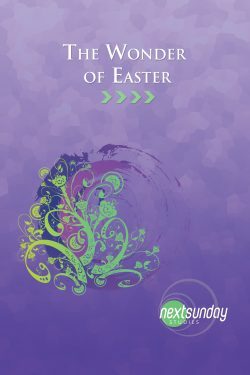 But as much as Easter is a mystery to contemplate, it is also a hope to embrace and good news to proclaim.